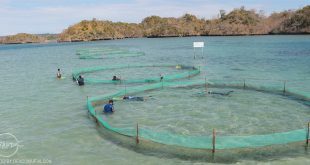 Since FishWorld opened, the people of Iloilo have reported the capture or stranding of endangered marine animals along the coasts and have brought some of them under the care of FishWorld. Marine turtles are quite often caught by fish corrals in Tigbauan, Iloilo. 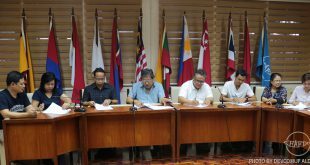 Captured turtles and dugongs were reported to the Pawikan Conservation Project of the Department of Environment and Natural Resources. All healthy turtles were tagged and released back to sea. However, turtles that were sick, injured, or domesticated and confiscated were held and rehabilitated in the hatchery tanks at SEAFDEC/AQD.